Women have played an integral part in the earthly life and ministry of Jesus Christ. From the time of His birth until the time of His death, Jesus was surrounded by women who loved and supported Him. After He was born, Jesus’ position as Messiah was confirmed by a widow named Anna, who was a prophetess. She spent her days in the temple praying to God and when the devout man, Simeon, whom God promised would not see death until he saw the Messiah, gave thanks to God for his seeing Jesus, Anna came in and confirmed that Jesus was indeed the Messiah (Luke 2:25-40). Peter’s mother-in-law (Mark 1:30 -31). The Widow of Nain (Luke 7:10 -12.). Mary Magdalene, from whom Jesus cast out seven demons (Luke 8:2). The woman with the issue of blood (Luke 8:42 -45). The woman caught in adultery (John 8:2-11). The Syrophoenician woman and her daughter (Mark 7:20 -29). Martha & Mary, who he came to comfort in the death of their brother, Lazarus (John 11). Mary, his mother, who He made sure was cared for at His death (John 19: 25 -27). While Jesus spent Himself in ministering to people, it was women who ministered to Him. Many women traveled with Jesus, supporting His ministry financially and caring for His needs. One of these women was Mary Magdalene. A pair of sisters also were of great help to Jesus. Martha and Mary from Bethany often entertained Jesus and His disciples. While they are usually remembered for their squabble over work (Luke 10:38 -42), Martha and Mary should be remembered for their hospitality to Christ on several occasions and their utter devotion to Him; and Him to them. It was at their request that He made the journey to Bethany to visit their sick brother, Lazarus, which led to Jesus raising him from the dead. There were other women, some who were named and some who were not, that were an important part in the life and ministry of Jesus Christ. 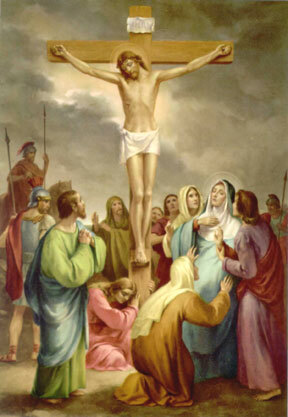 And while most of His twelve disciples were absent at his crucifixion, it was these same women who remained with Him at the cross until he died (Mark 15:40 ; John 19:25 ). Since women were an important part of His ministry, it should be no surprise that the risen Christ revealed himself first to women and used them to bring the new of his resurrection to others (Luke 24:1-12). There is no doubt that Jesus loved women. He loved us enough to pay the penalty for our sins by dying a violent death on the cross. Today is Good Friday. Let’s take a moment to remember the ultimate price He paid because of His great love for us and His desire to provide a way for us to have peace with God.